How can one not smile when they walk out the door and see this solar flare yellow truck? 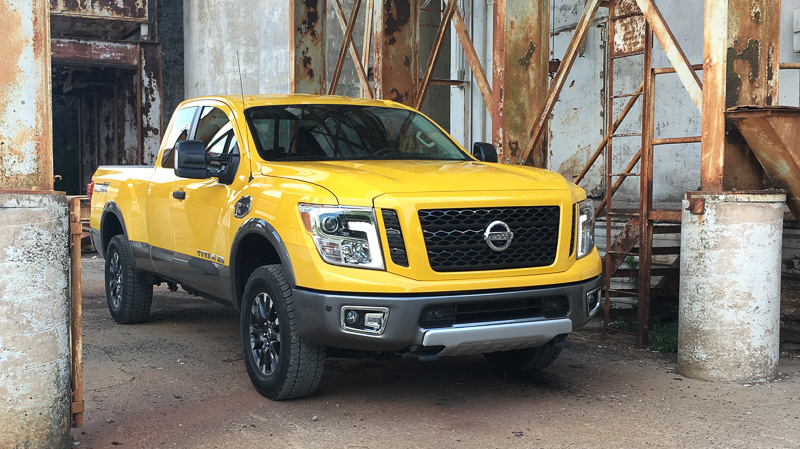 It’s basically a giant sunflower… Meet the 2018 Nissan Titan XD Pro4X. Extra power. Extra ground clearance. Extra fun. The combination of the XD and Pro4X packages give you the ability to use this truck for almost anything. You have extra power for hauling and towing, and extra ground clearance and heavy-duty shocks to absorb all the bumps you’ll encounter off-road. Check out my full review on A Girl’s Guide to Cars and see why this beast is one of my favorites! Plus check out my other Titian review!